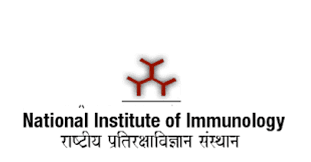 NII- National Institute of Immunology 2018 Jobs Recruitment. NII is inviting applications for the postions of Junior Research Fellow. Interested and Eligible candidates can apply for the positions. 2 .Educational Qualifications: Junior Research Fellow (Project): Post Graduate Degree in Basic Science with NET qualification or Graduate Degree in Professional Course with NET qualification or Post Graduate Degree in Professional Course. 3. Emoluments: Rs. 25000/- per month plus 30% HRA as per DST OM dated 21.10.2014. 4. Job description & Desired Knowledge: Candidates should have experience in microRNA analysis.